This interview is part of a series of interviews with alumni of the Centre for the Study of Human Rights at LSE. 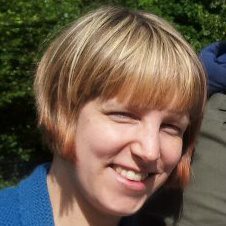 Catherine Hodder studied for an MSc in Human Rights at LSE, graduating in 2005. Interview by Nikki Edwards, current MSc Human Rights student. I am currently the Parliamentary Adviser for the Children’s Rights Alliance for England (CRAE), which seeks the full implementation of the UN Convention on the Rights of the Child in England. CRAE coordinates the England NGO submission to the Committee on the Rights of the Child and produces an annual State of Children’s Rights in England report, charting Government progress on the Committee’s Concluding Observations. As Parliamentary Adviser, I communicate children’s rights concerns to parliamentarians, ministers and civil servants in order to hold the government to account for its commitments under the Convention on the Rights of the Child. I draft and disseminate briefing material for debates, parliamentary questions and suggest amendments to legislation going through Parliament. I also ensure that children’s rights concerns are heard in the development of government policy and guidance. What other work experience do you have? Before becoming a human rights lobbyist, I worked for a Member of Parliament, gaining first-hand knowledge of the political process. During my undergraduate degree I interned with an NGO in Senegal for four months. I also gained a wide variety of skills from working with different groups of children, including young asylum-seekers. Being a member of Amnesty International opened up opportunities for me to get involved in human rights campaigning at the start of my career. What advice would you give someone wanting to start a career in human rights? My advice would be to make sure you have the relevant skills to complement your human rights knowledge and commitment. These skills will vary greatly depending on what sort of job you are interested in, but focusing on getting the right experience will give you the best chance of getting employed. These skills can often be gained from outside the human rights sector, so be open-minded about where you look for opportunities. In my case, I was able to gain the skills I needed to become a human rights lobbyist by working for a Member of Parliament. What was your favourite bit of the MSc? My favourite aspects of the MSc were the wide variety of subjects we covered (and the great people we got to hear from) as well as the law module I studied. The law course was a great opportunity to see how human rights issues are resolved in practice. Do you think there is anything distinctive about the way LSE teaches human rights? I think the interdisciplinary way that LSE approaches human rights is distinctive. This creates opportunities for students to look at human rights from a wide variety of perspectives and helps them understand the critiques of human rights. This is invaluable knowledge for human rights campaigning. Absolutely. Human rights belong to everyone, wherever they happen to be. Everyone should be treated with the dignity that human rights provide. Do you have any pet human rights projects? One of the human rights campaigns that I’ve been involved in is for children to be given equal protection under the law on assault. It’s a disgrace that the law still provides a “reasonable punishment” defence for common assault against children. We cannot hope to respect children as rights-bearers unless we leave behind the idea that any sort of violence against children is acceptable. This entry was posted in Alumni, Politics. Bookmark the permalink.